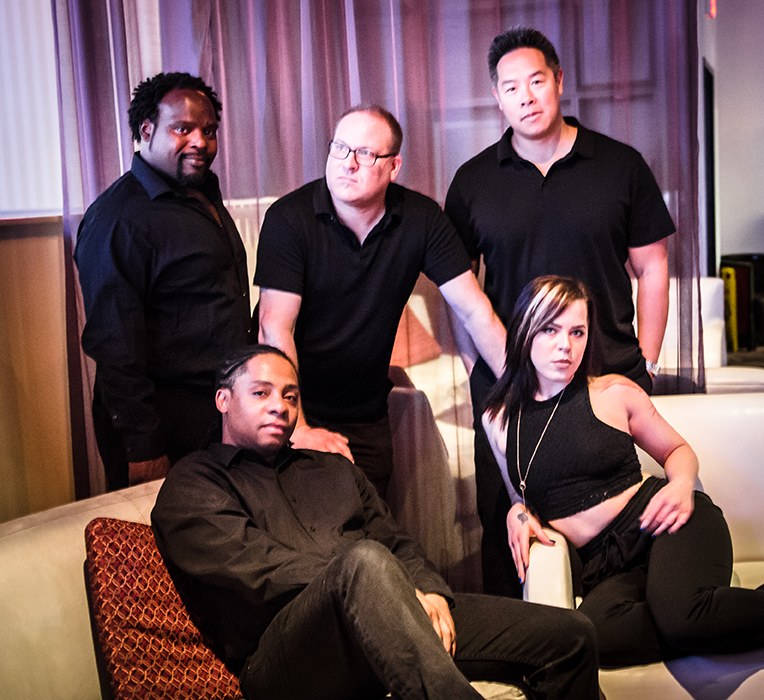 Element K is a refreshing new type of dance band for your private function! We play modern dance music for the younger generations as well as the classics everyone knows and loves. We also provide professional DJ and emcee services to keep the entertainment continuous from start to finish. We make all of the introductions and announcements and work closely with the bride, host, and venue to keep things flowing smoothly. Element K can provide your ceremony or cocktail hour with live or recorded music. Anything from soft jazz piano, to acoustic guitar, to quiet background music from a DJ—we will accommodate to your needs. Want to be a Rock Star ? Well, at least for a song or two. Element K can provide a songlist and lyrics for the guests (or hosts) of your party so that they can sing live with the band! This makes for great video footage and really makes the party interactive. If you are interested in hiring Element K for your wedding, corporate affair, private party, etc., we recommend filling out the form below. And because e-mails sometimes get lost, don’t hesitate to follow up with a phone call to our agent (above) if you don’t hear back in a few days. Serious offers only, please!